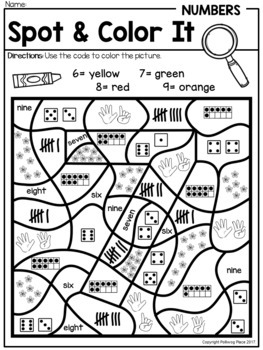 This Spot and Color It color by code set is a fun and engaging way for students to practice number sense skills. 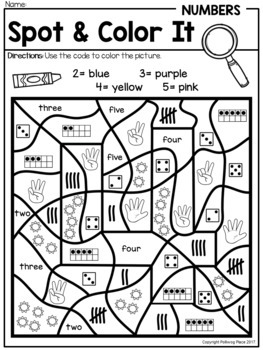 Students will count numbers 1-10 and use the color by number code to shade in each section of the picture. There are 10 color by number pages. 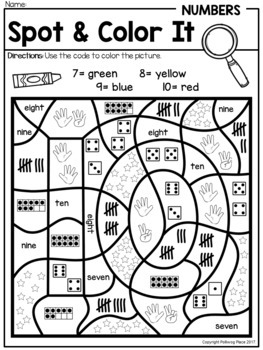 Each number is represented in a variety of ways with ten frames, tally marks, counting fingers, dice, number word, and pictures. This is a low-prep activity designed to save you time. Simply print and go. Use heavy paper and laminate for write and wipe activity. Pages are in black lines only. 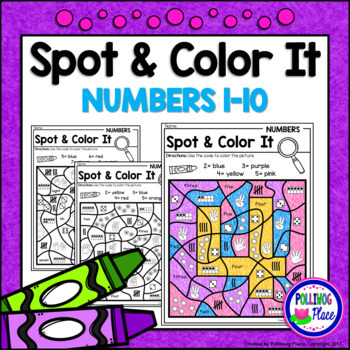 This Spot and Color It set can be used in math centers, for early finishers, as independent work, homework, and more! Be the first to learn about new resources, freebies, and other special offers.